Taylor Funeral Home of Louisville announces the death of Mr. Steven E. Howard, age 49 of Clarks Mill Road Louisville, who died Wednesday morning August 8, 2018 at his residence. Graveside inurnment services will be held 11:00 AM, Friday, August 24, 2018 in the West View Cemetery, Augusta, Georgia, with Mr. Mitchell McGraw officiating. A native of Waynesboro, Mr. Howard was a son of the late Emmett E. Howard and Mary Godbee Howard. He was a self-employed carpenter and ran his own construction company S & K Construction. 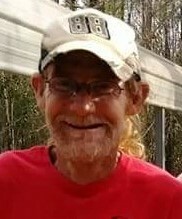 Mr. Howard was preceded in death by his father and a brother, Roger “Bubba” Howard, and is survived by his mother, Mary Godbee Howard, companion, Kandi Pierce, of Louisville, sons and daughter in law; Steven E. Howard Jr. & Kristin, of Statesboro, Cody Howard of Girard, Tristan Howard of Waynesboro and Ryan Howard of Millen, daughters; Cassie Green of Kite, Hannah Howard of Waynesboro and Haley Howard of Millen, step son, Daniel Combs of Louisville, sisters and brother in law; Joy L Royal of Sardis, Sandy Walden & Randy of Louisville, brothers; Don Howard of Martinez, Brandon Howard & Sonya of Martinez, Jeremy Howard & Sherry of Sardis; grandchildren; Jaylen Howard, Kyleigh Howard, Aubrey Howard, Bailey Howard, Cody “Lance” Howard Jr., Connor Sanders, D.J. Green, Addy Green; step grandchildren C.J. and Brianna Jackson, several nieces and nephews. Taylor Funeral Home and Cremation Care of Louisville is in charge of arrangements.